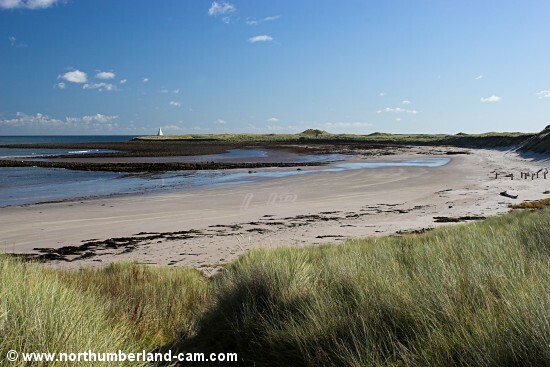 The Links - a large stretch of beach on the north coast of the island. 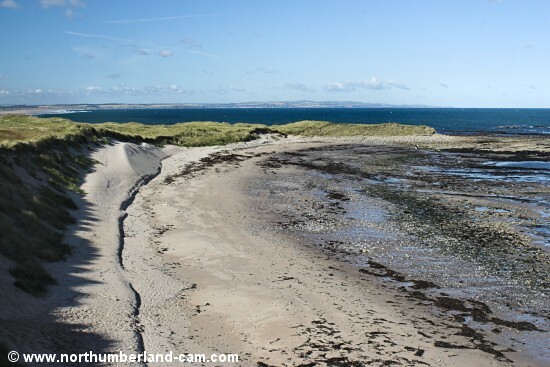 Coves Haven - a beach on the north coast of the island backed by high dunes. 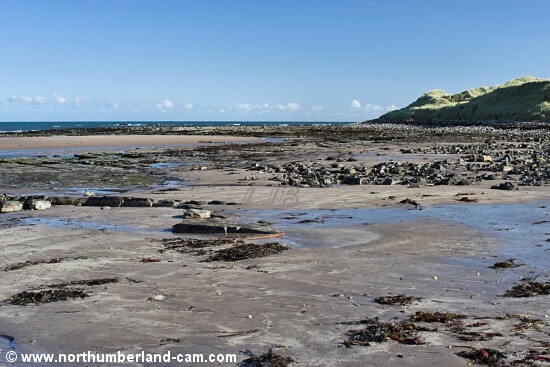 Keel Head - a beach north of Emmanuel Head on the north coast of the island. 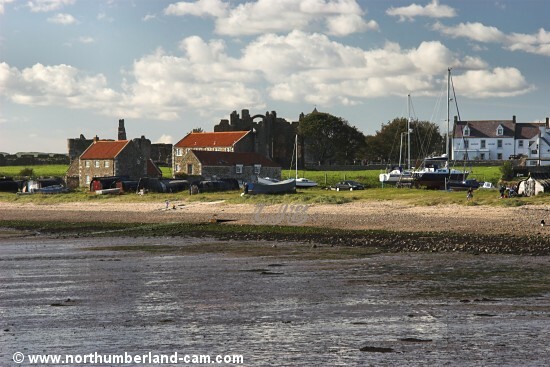 Holy Island Harbour - a small beach at the south end of the island with views to Lindisfarne Castle. 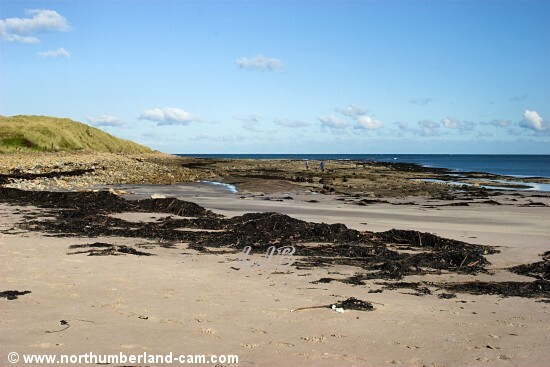 This page has photos of all of these beaches, taken on a beautiful clear autumn day. 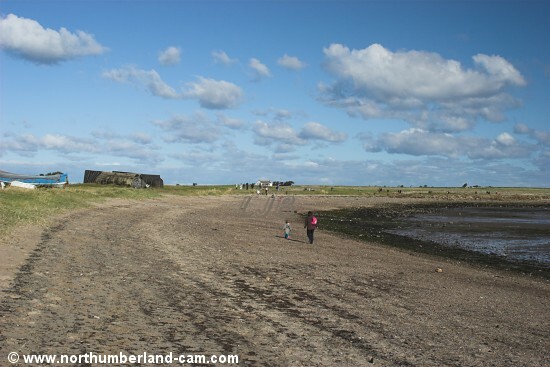 The Links - beach on the north coast of Holy Island. 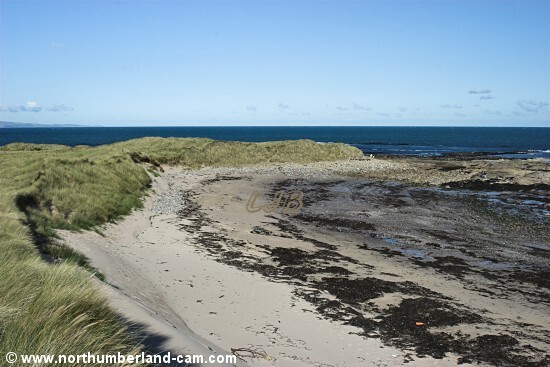 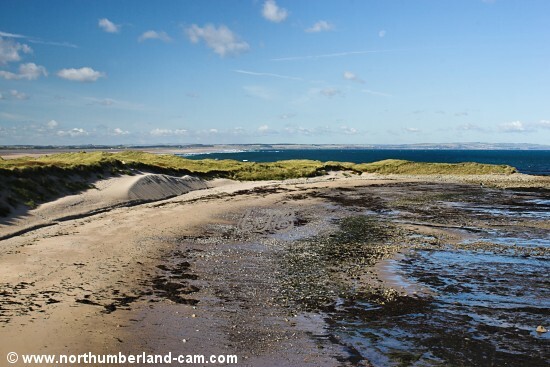 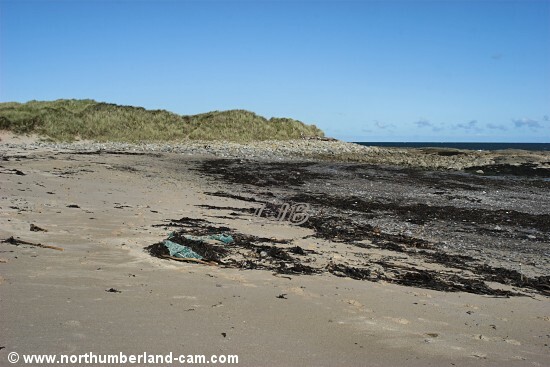 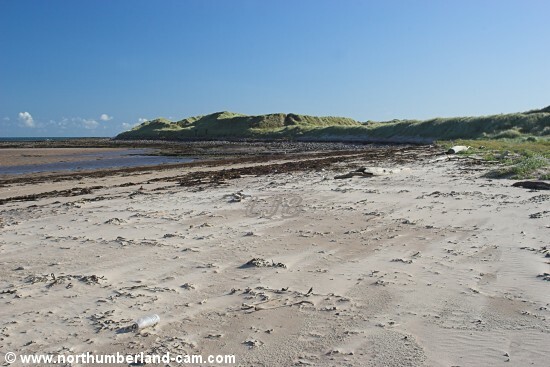 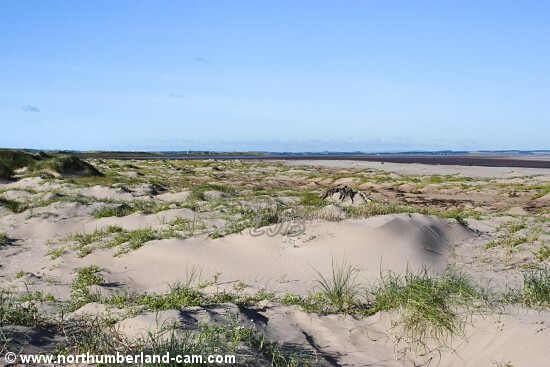 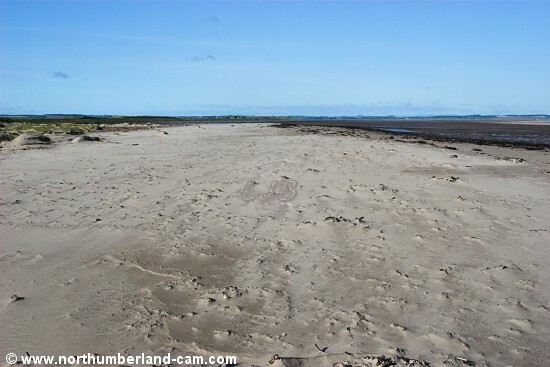 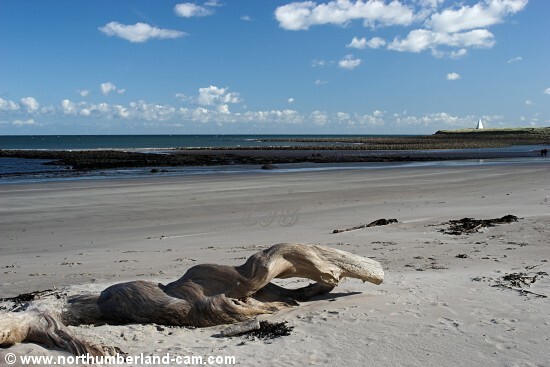 On the north coast, accessed by following paths through the large dunes in an area known as "The Links" there is a large exposed beach which, at low tide, stretches up to Goswick Sands on the mainland. 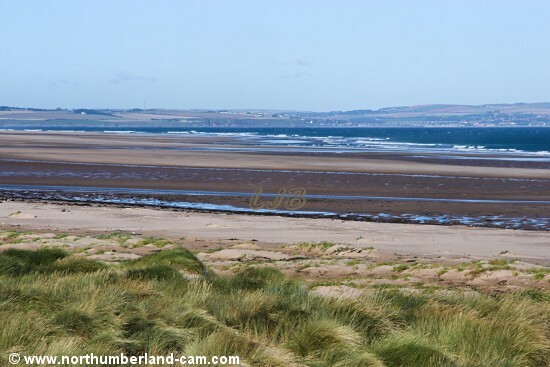 The views from here on a clear day are fantastic. 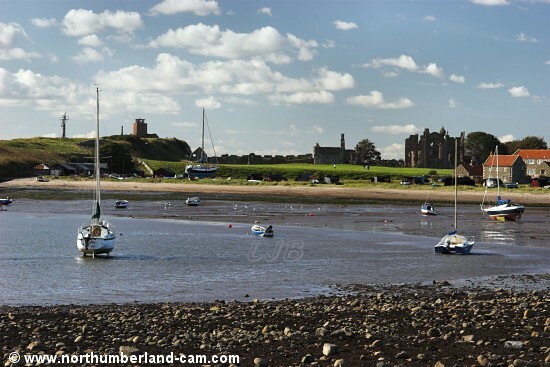 Berwick and the cliffs beyond to the Scottish Border can be seen. 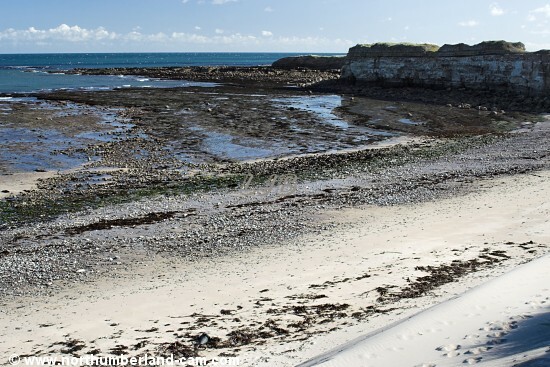 This is a remote place that offers solitude, peace and quiet with only the sounds of the sea and birds. 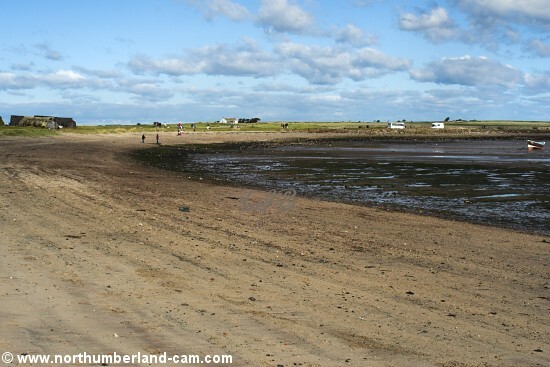 Views of the beach on the north coast of Holy Island. 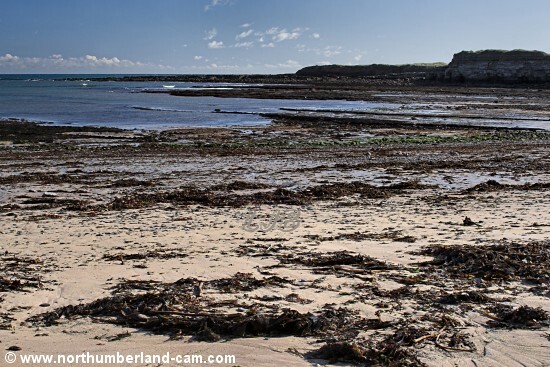 At Coves Haven, also on the north coast of the island there is a beach that is backed by high sand dunes and overlooked by cliffs at the east end. 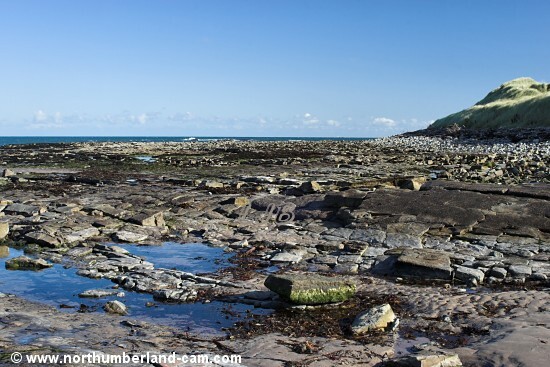 This is a quiet and sheltered beach which leads down to rocks which are uncovered at low tide. 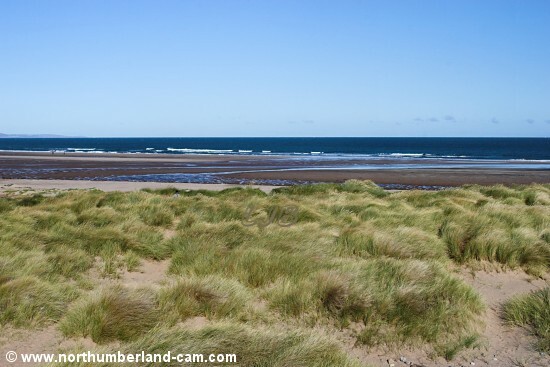 Views of the Beach at Coves Haven. 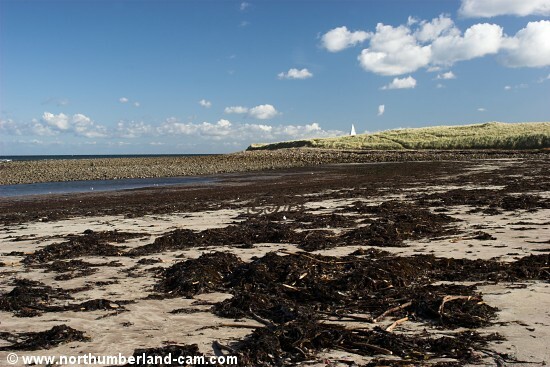 The beach at Keel Head is also on the north coast of the island just west of Emmanuel Head with it's distinctive white navigation tower. 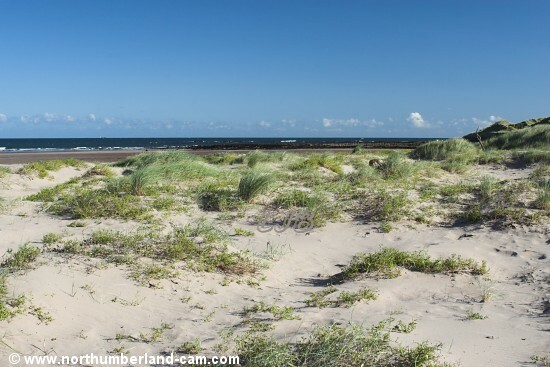 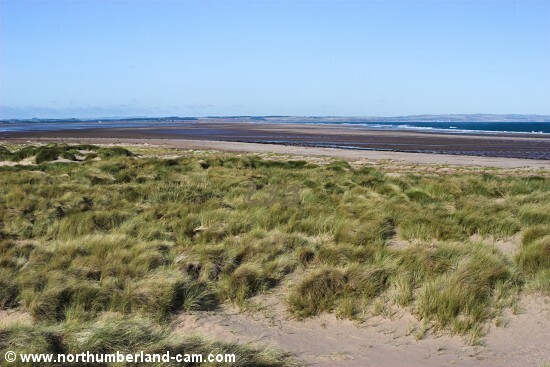 This is a lovely beach which is also backed by dunes. 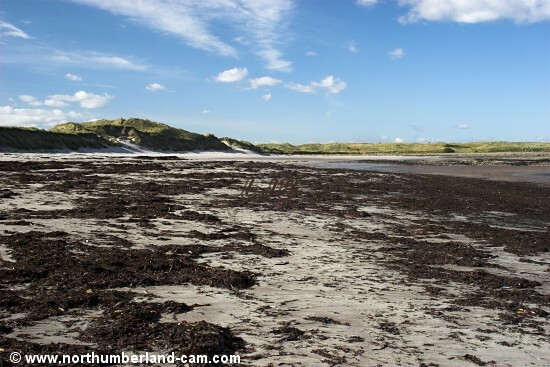 It is more visited by walkers than it's neighbours but still has a remote feeling. 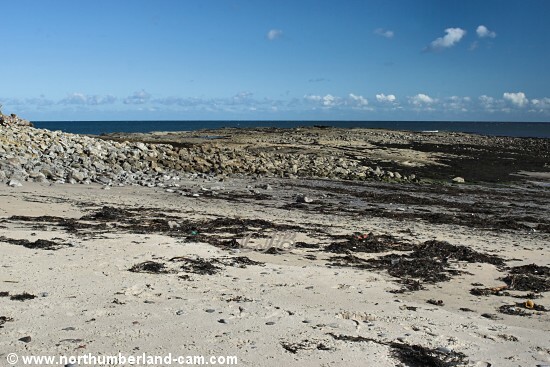 Views of the Beach at Keel Head. 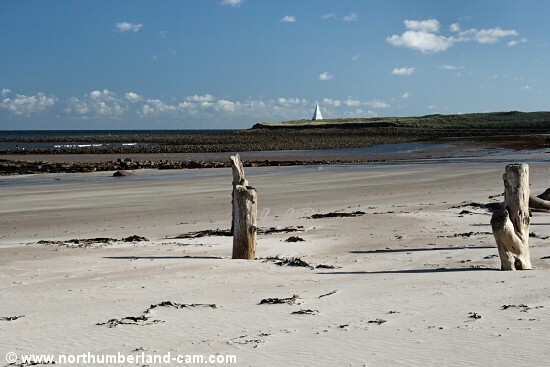 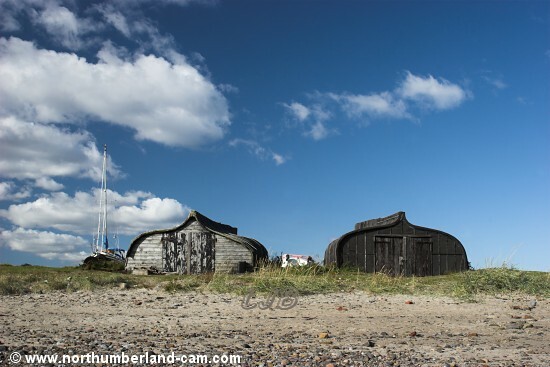 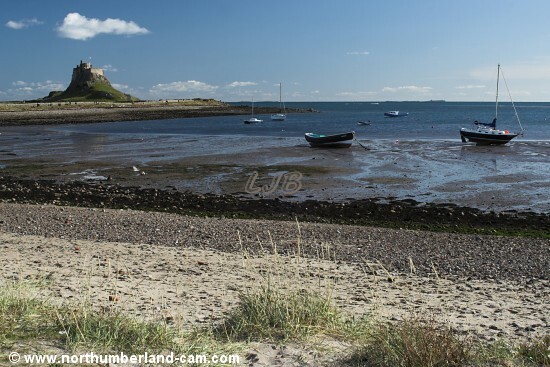 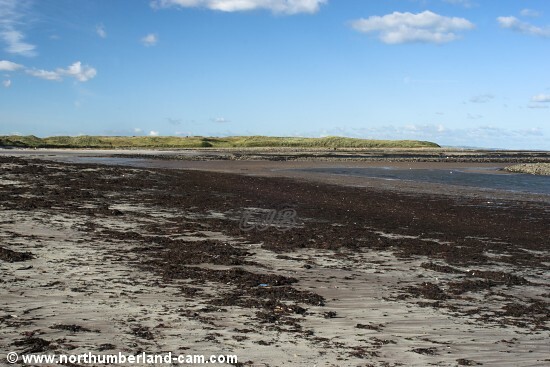 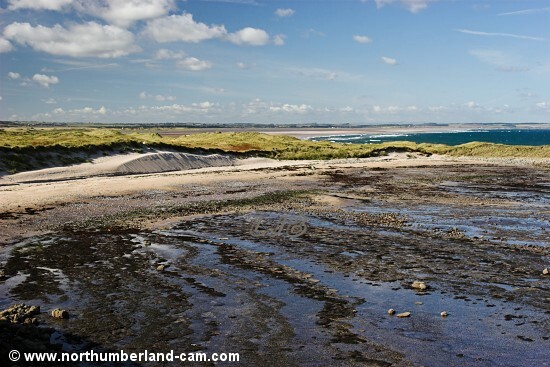 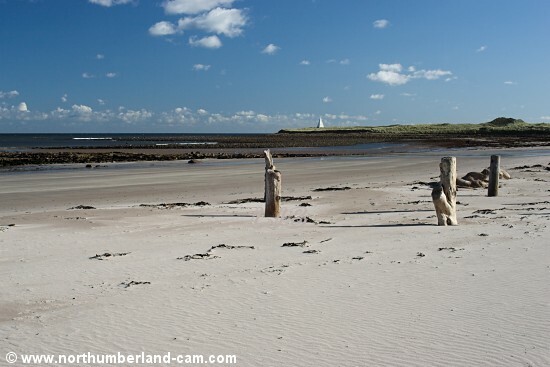 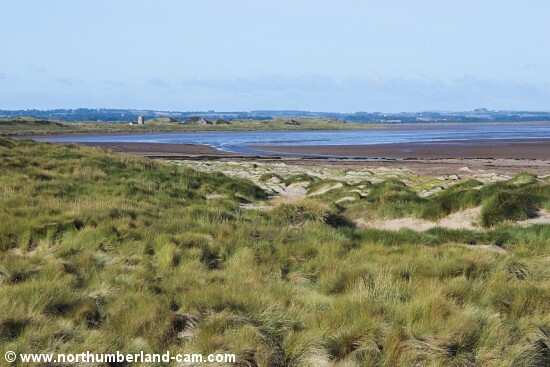 There is a small beach overlooking the harbour with views to Lindisfarne Castle and Lindisfarne Priory ruins. 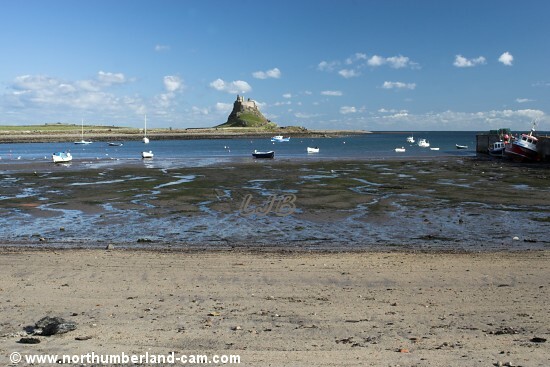 It is probably the only beach many visitors to the island will see, or even be aware of, as they trudge back and forth to the castle. 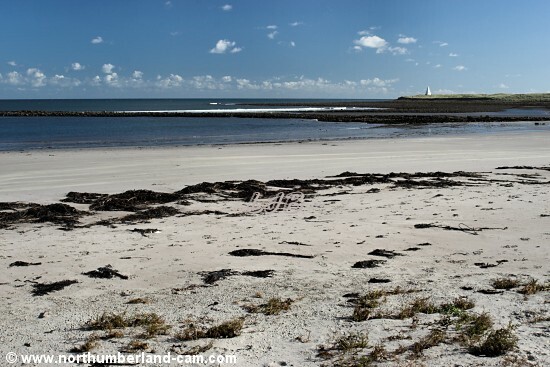 Views of the Beach at the Harbour.